Water tables are not cheap, a pain to store if like up you have short warm months, and for people in smaller houses, condos and apartments bulky even if they are being used. 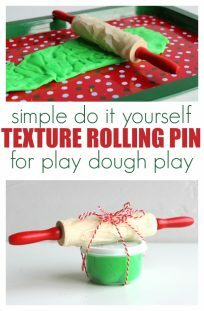 So this is an easy and fun way to play with water with simple toys and tools that can be used for other things as well. 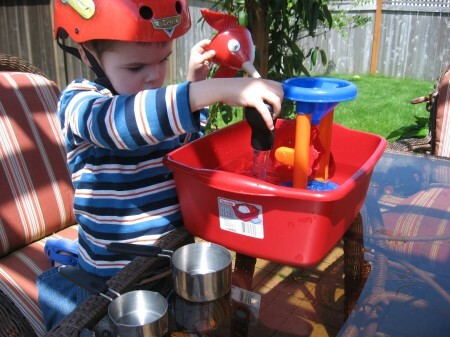 You can make this cheap water table for kids in minutes for only a few bucks. The bike helmet is optional. Gather your materials. You will need a plastic bin ( I got this one in the dish rack aisle at Walmart for under $3, some fun beach type toys like this water mill which I love because it is so dynamic and was bought at Target for $1.99, then a turkey baster, a silly funnel and measuring cups from my kitchen. Also water! There aren’t many steps other than play outside, or place some towels down around it as well as have some handy if you are playing inside. 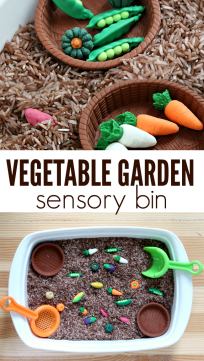 For more fun add ice cubes and/or bath toys. If you are doing this outside after your child has had enough, water your plants, grass and flowers! Who Sank the Boat? 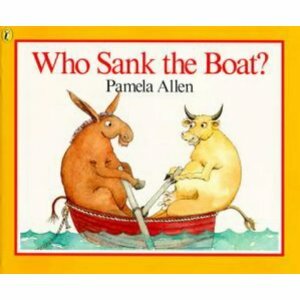 by Pamela Allen is a funny little story about a group of animals trying to get into a little rowboat without capsizing. The reader is asked time and time again who they think sank the boat was it the big cow? The fat pig? you’ll have to read to find out. This would be a fun book to read while exploring a Sink and Float activity. 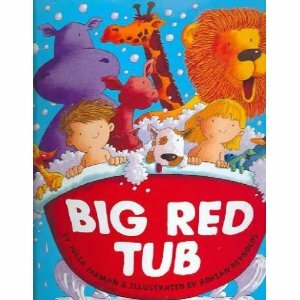 Big Red Tub by Julia Jarman is a silly tale with really great little subtle details. A brother and sister are in the tub splashing about when their dog jumps in. The fun continues with more and more animals jumping in the big red tub. Finally the tub breaks free from the bathroom and eventually ends up in space! It’s a fantasy but they come back down to reality when mom walks through the door , complete with briefcase while dad is in the background with the shampoo. I loved that detail, nothing is overt but for families with stay at home dads it’s a great shout out I think. Also if you look closely you will see some of the animals that jumped in the bath as toys, slippers and more strewn about the bathroom. Water by Tara McClintick a preview can be read online here on memetales. The book is a wordless collection of photos of water proceeded by a poem about water. The photos include water in many different forms, a water fountain, pool, shower, a glass of water and more. I love that it shows how water is used for so many purposes, delivered in so many different ways but are is always wet. Great basic book! Love the helmet! My son can spend hours playing in the water. Great idea to take it outside! .-= Cindy´s last blog ..Download N Goâ„¢ Expedition Australia ~ Review =-. Thank-you for posting this great idea. I was about to go buy a big water table for my 3 boys, now they can each have their own! Big ones are great too – but things you can pop in the dishwasher if you say leave it outside for 3 weeks and it’s mucky is unbelievably convenient. I was just thinking we needed something like this! Thanks for the inspiration. Any thoughts on making a water wall? .-= Christianne @ Little Page Turners´s last blog ..Love My Library!!! =-. ours is one of those inflatable baby baths we got and never used, or we’ve used under the bed storage containers. homemade sandbox under the bed storage container with lid! perfect for LO’s to play, lid to keep out bugs, cats and rain! .-= welcome to our wonderland´s last blog ..Indivisible by Kristen Heitzmann =-. I love your blog for the reminders it gives me to do stuff! 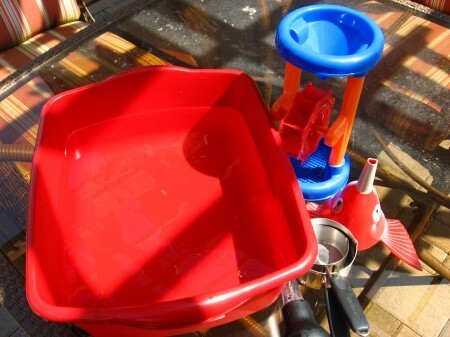 With all this nice weather I’d forgotten about he water table option. They’re all outside playing with one right now! .-= Melodie´s last blog ..Do Nurses Learn about Breastfeeding in Nursing School? =-. We convert water activities into cleaning, watering plants and even bathing our doggie. So glad it is getting warm enough to get wet outside! You are welcome Maya ! Yes I know it’s been a long time coming for the PNW to have some nice weather! 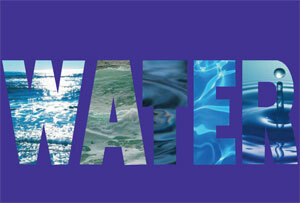 Christine- I have never made a water wall, can you share with readers what it is? We have a water table but it’s been changed into a sand table. She has so much fun playing in the sand I think we’ll keep it filled with sand and try this for water. Thanks for solving yet another dilemma! Love the helmet! My son was wearing a firefighter hat for about 4 hours the other day. We’ve got a sand and water table, but I prefer to keep the water activities separate so the water doesn’t get mucked up by the sand. 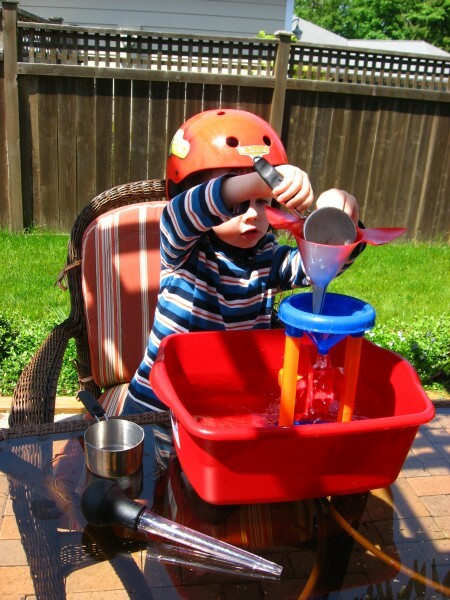 My son LOVES to play with water, and he can easily sit for hours pouring, washing, splashing. That water mill is really neat looking! .-= Cara´s last blog ..Quiche Lorraine =-. .-= Wendy @Sun-Kissed´s last blog ..The Water Table =-. This is so fun! We’re going to have to try it out–and I love the helmet, too! .-= vanessa @ silly eagle books´s last blog ..last minute cheat sheet for dads: easy mother’s day crafts for preschoolers =-. I love this idea and very cost effective! .-= Jen´s last blog ..Postcard Swap =-. Thanks for the inspiration. I’d read this post and scored a water mill at the Christmas Tree Shop – my 17mnth old daughter is loving it. 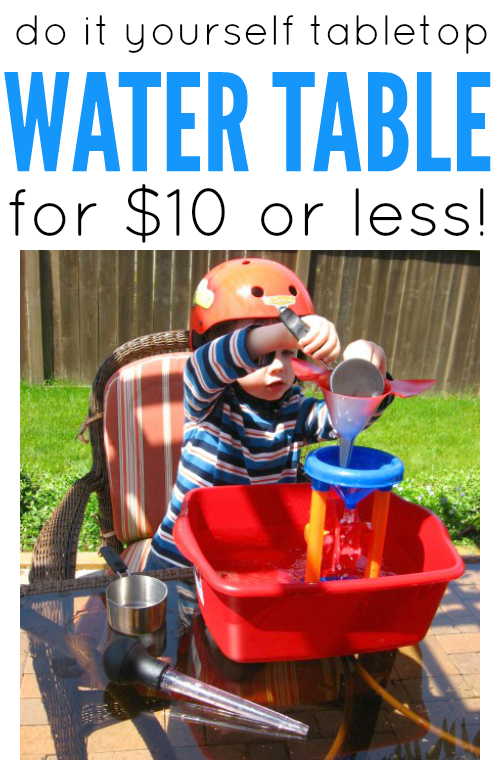 This is such a fun and simple way to create a water table for hours of fun! 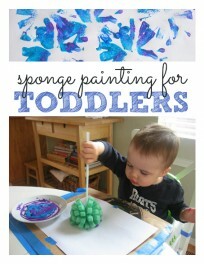 I just linked it up to our post about water fun with babies and toddlers. Thanks for sharing!